For the next selection on the highlife turntable, I have selected the song Fakyeno by the Dr. T.O. Jazz International band of Ghana off a Chris Robins Records Ltd release Welcome Ojukwu. T.O. 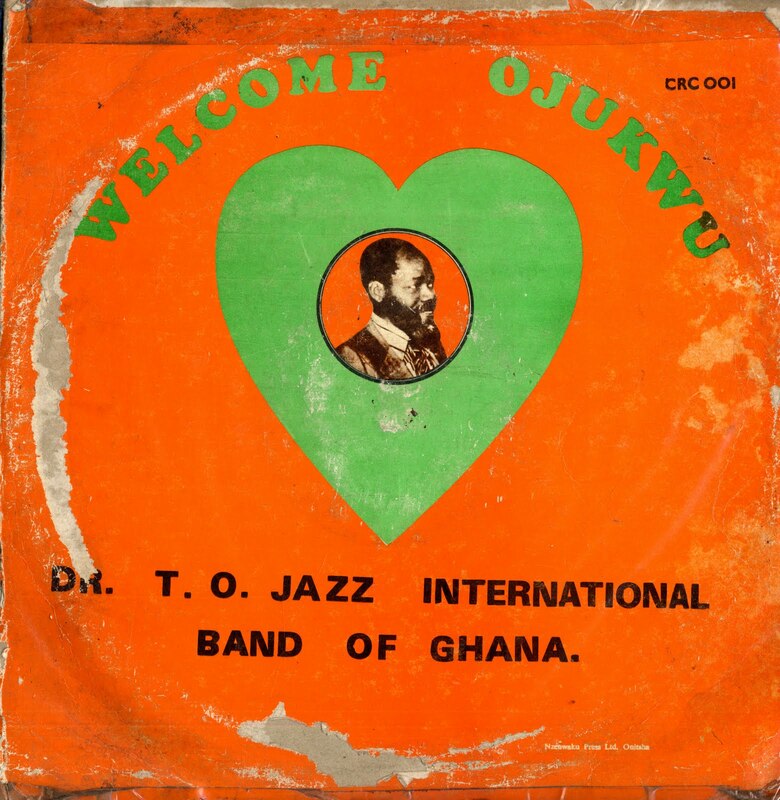 Jazz is one of the musical institutions in Ghanaian music. He spent time in Zaire playing with bands like O.K. Jazz and African Fiesta. He returned to Ghana where he recorded several great LP's in the 70's and early 80's. Soundways has reissued one of the more important songs Owuo Adaadaa Me in their recent Ghana Special box set. It was the first song to earn a Ghanaian band a Golden Disc award from Phonogram Ltd. The LP is dedicated to the former head of state of Biafra, Mr. Chukwuemeka Odumegwu Ojukwu and commemorated his return from exile in 1982. The song has lots of nice touches. Check out the rhythmic intricacies in the stripped down guitar lines, the impeccable percussion playing and the fluid rootsy vocals. I especially like the way one of the vocalist accompanies the lead singer with 3 slow languid low shouts starting around the 4.30 mark. I am not sure who it is, but Isaac Yeboah, Para Yaw, and Johnson Koh Djan are listed as the vocalists. I hope you like it.